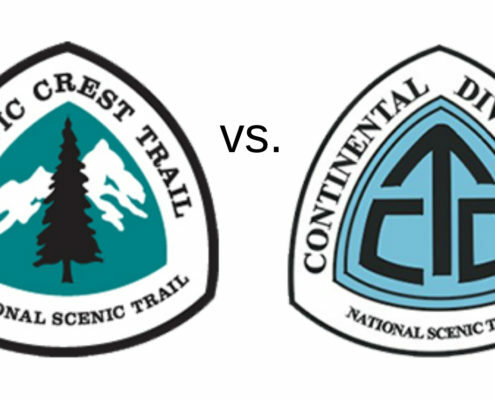 In an earlier post I compared the Appalachian Trail vs. Pacific Crest Trail, (AT vs. PCT). 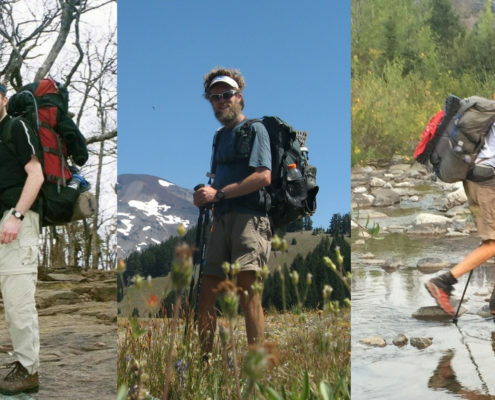 That post is one of my most popular gets tons of traffic so I decided to do a comparison of the Pacific Crest Trail vs. Continental Divide Trail, (PCT vs. CDT). Like the AT and PCT, you can’t really compare the PCT to the CDT (though many love to), or any of the three with the others for that matter. Each is their own beast and it takes a different approach to complete them. There is no one best way to hike any one trail. Don’t let anyone tell you otherwise. In my opinion the CDT was the harder of the two. I might have joked while hiking the CDT that the PCT stood for Piece of Cake Trail, but the reality is both can be extreme. The truth is everyone has a different experience while hiking. Many factors such as time of year, snow/water levels, general weather, fitness, directions of travel and more will effect which will be tougher. Below I broke down some of the most popular categories one might want to see the difference between. Remember these are just my take on my experience. Your’s will be similar but different. Oregon (430 miles) & Washington (500 miles). 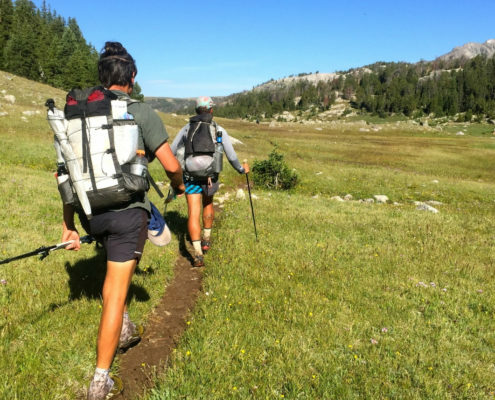 About 1500 people attempted to hike the entire Pacific Crest Trail in 2015. New Mexico 775 estimated miles, Colorado 800 estimated miles, Wyoming 550 estimated miles, Idaho/Montana 980 estimated miles. There’s no speed record as the trail isn’t complete and no one hikes the same route. The overall success rate is about 70%. The CDT is routed on the actual Divide as much as possible making everything harder. The PCT was designed and built so one could use pack animals on it. As a result the trail has a much easier grade and meanders up/around climbs. The actually tread is much smoother too but it has it rocky sections. The topography shares many features with the CDT but don’t let that fool you. They are not the same. 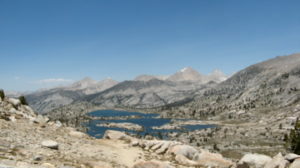 The PCT contains six of the seven ecosystems we have. The CDT was designed to follow as close to the Divide as possible. This means you are much more exposed on the CDT than on the PCT. The average elevation of the state of Colorado is 11,000′! Combine that with the fact the sun’s UV rays are 40% stronger at 14,000′ and you can see why it’s probably the hardest state of any of the trails. The CDT is not a complete trail so there is hundreds of miles of road walking. The tread is much rougher and varied. Mud can be an issue too. Weather is never the same so it’s hard to say which has the better weather. I personally found the weather on the PCT to be tamer than the CDT. 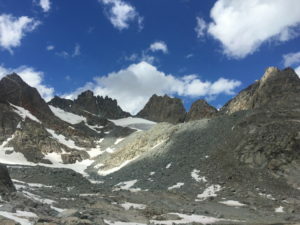 The PCT still gets rain, hail, snow, lightening and more. Just know it can vary from year to year. I found the temps to be higher on the PCT but this could be due to the lower elevations. My CDT hike had much more weather than the PCT. The wind and amount of rain was the biggest difference I noticed. The CDT also had much more lightening. Afternoon storms were more an issue for me. 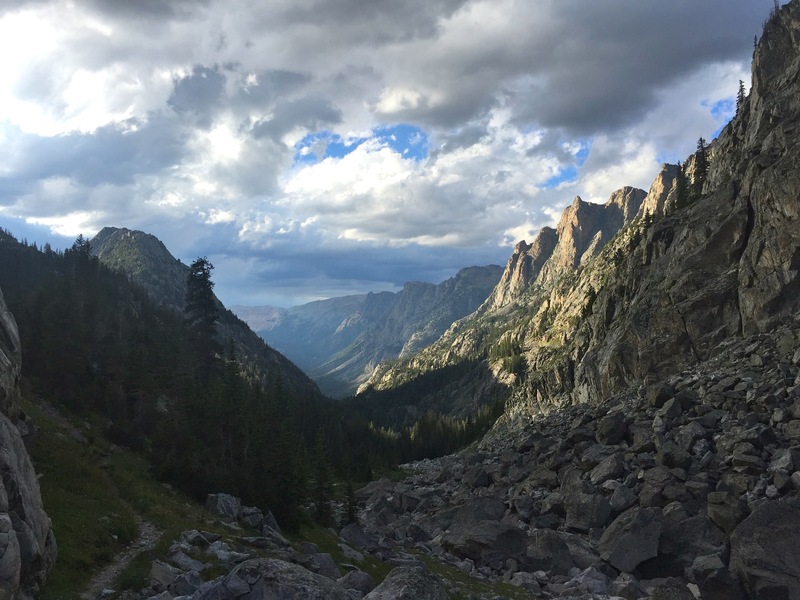 The one bonus is that the weather usually moves through an area fast on the CDT. The PCT was much easier to navigate. The is mainly due to the trail being more complete and more traveled. Signage was more frequent and consistent in its appearance. The CDT wasn’t as hard to navigate as I was lead to believe. As the CDT isn’t complete no one hikes the same route as someone else. It’s more a “choose your own adventure” hike. Navigation wasn’t a problem, though many resources will tell you that it’s really hard and you have to look at a map every 10 minutes. With apps like Guthook, I almost completely stopped looking at my maps. I did carry both the Bear Creek Survey and Ley Maps. In a perfect world I would have the BCS maps with Ley’s notes on them. The signage on the CDT is not consistent in the spacing/frequency or its appearance. You’ll find many types of blazes (wood and metal signs), cairns, metal posts, wood posts and more. One thing to remember is the CDT is not always the most defined trail. I found the PCT logistically easier than the CDT. For starters you have less options as the trail is complete. There is more information and generally it’s better for the PCT. I found planning easier for the PCT and could plan further ahead on the trail. I found it much harder to plan for the CDT. Like the trail most information out there is only partially complete. Just sorting the maps, town guides, water report and data book pages is a full day in of itself. The CDT also presents you with many options and this can make your planning more difficult. Having so many options can be a limiting factor while on the trail. The key is to plan for your hike like you hike it. Tackle one piece at a time and don’t get overwhelmed. The PCT was both physically and mentally challenging but compared to my personal experience on the CDT I would say both were less challenging. This is one of those categories that can be different for everyone. I would say the order for me goes: Physical: CDT, AT, and PCT. Mental: CDT, PCT, and AT. I found the CDT to be the hardest both physically and mentally. Like other aspects of the three Triple Crown trails there’s many factors that influence this answer. To mention a few: Your age at time of hiking, order you hiked the trails, weather, off trail influences (loved ones and friends), direction of travel, and more. Typically it’s the same as the PCT for a Northbound thru-hike, April to late September. Southbounders generally start in mid June and go through to October. Cost on both trails is about the same. 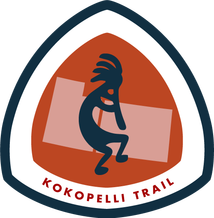 I have heard of people doing any of the Triple Crown trails for anywhere from $3000-$8000. 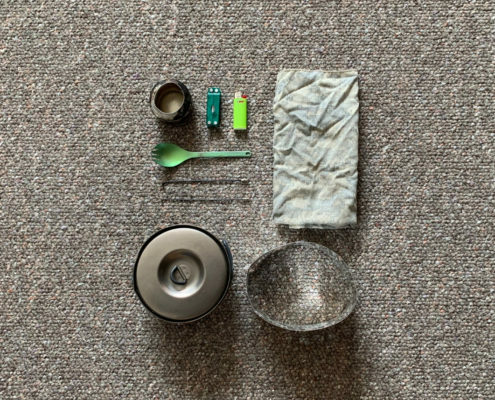 It all depends on the gear, food, number of hotels, mode of travel to and from the trail, amount of postage, and amount of money you spend in towns. It’s possible to do it for less but many sacrifices will be made. The PCT has a much larger network and stronger hiking community. There are more Trail Angels and more maintained water caches. Due to the vast growing interest in hiking the PCT from books and movies of late numbers have soared. 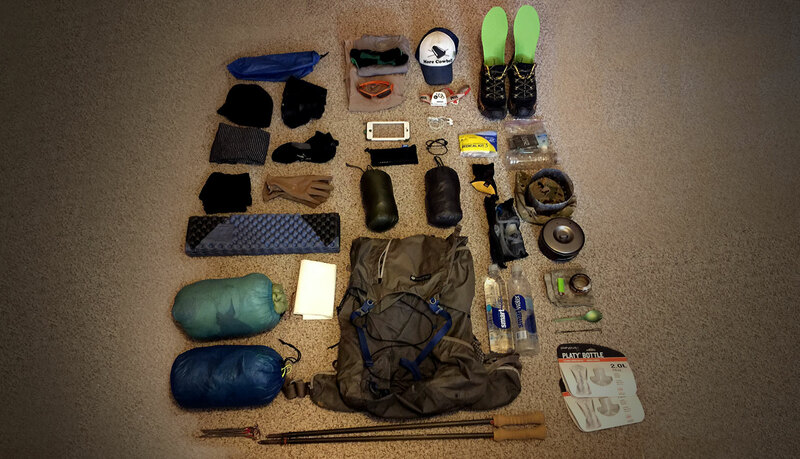 1500 attempted to thru-hike in 2015. These numbers have put a lot of stress on the community and some Trail Angels have had to close their doors. Be respectful when you stay with them and support them if you can. There are less Trail Angels on the CDT than the PCT. Though the number is growing the CDT has the least amount of hikers attempting to thru-hike. In 2015 there was only about 250-300. 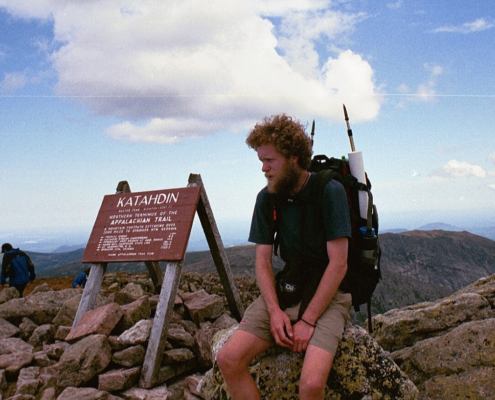 The CDT community is one with a vast knowledge of hiking and help is easily found. Water varies from year to year. Typically water is an issue up to the Sierras then in a few places in Oregon. Where my next water was a concern on the PCT but not as much as on the CDT. Water can be an issue in any of the five states. It’s most scarce in New Mexico but you’ll find places high on the Divide in Colorado where you don’t come off the Divide for 20+ miles. In Wyoming the Great Basin has long stretches without water. Idaho/Montana also have some sections that poise a challenge. On the CDT you can’t assume they’ll be water, conditions are too varied. I constantly thought about water during my thru-hike. My average resupply was between 4-5 days. The longest stretch being in the High Sierra from Kennedy Meadows to Independence, CA. My average resupply was 4 days. This equaled an average of 90 miles between resupplies. The longest being 155 miles. Mileage has changed since I did the trail. *Mileage on CDT is different for everyone as no one takes the same route.